The astronomical team that found the nearest exoplanet at Proxima Centauri has done it again with the reported detection of a super-Earth orbiting Barnard’s Star, the second-closest star system to our own. The discoverers acknowledge, however, that they’re not completely sure yet. Assuming it exists, Barnard’s Star b would be at least 3.2 times as massive as Earth, tracing a 233-Earth-day orbit. 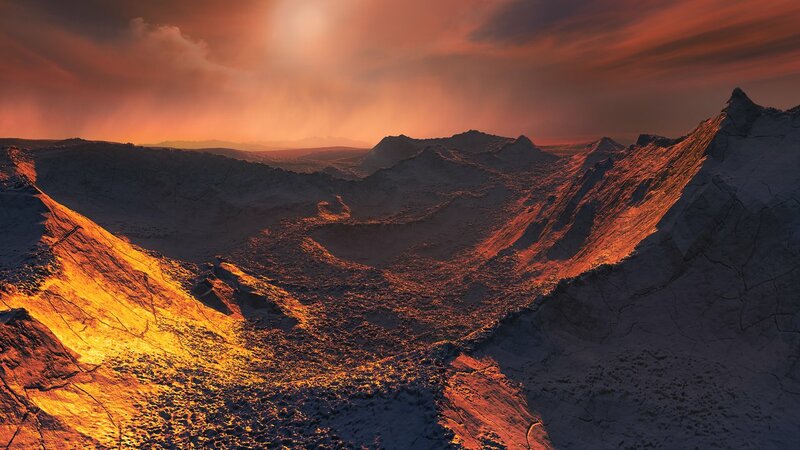 It would be as close to its parent star as Mercury is to our own sun — but because Barnard’s Star is a dim red dwarf, surface conditions would be far too chilly for life as we know it. The surface temperature would be about 275 degrees below zero Fahrenheit (-170 degrees Celsius). This entry was posted in GeekWire and tagged Barnard's Star, ESO, Exoplanets, planets, Red Dwarfs, Space. Bookmark the permalink.